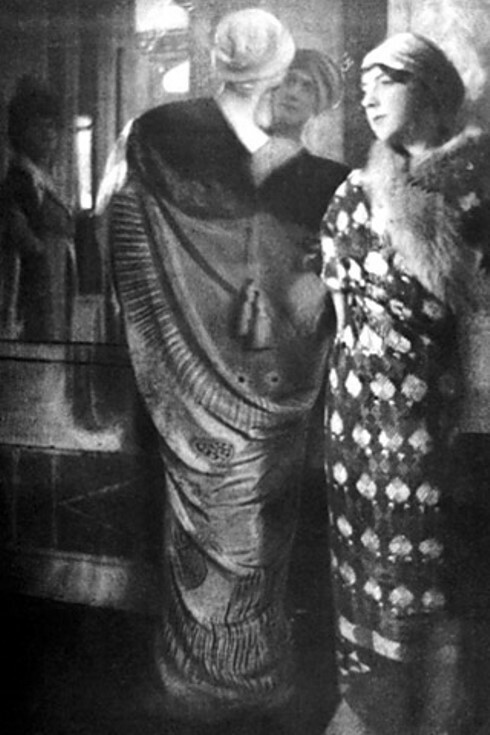 Paul Poiret was the first couturier to embrace draping over the more traditional techniques of tailoring and corsetry; in doing so he played a key role in liberating women (Madeleine Vionnet also advanced an uncorseted silhouette, but it was Poiret, largely owing to his acumen for publicity, who became most widely associated with the new look). Draping freed not just the woman but the designer as well, allowing him to develop the innovations that became his trademarks: billowing kimono coats, neoclassical Empire and lampshade dresses and hobble skirts. 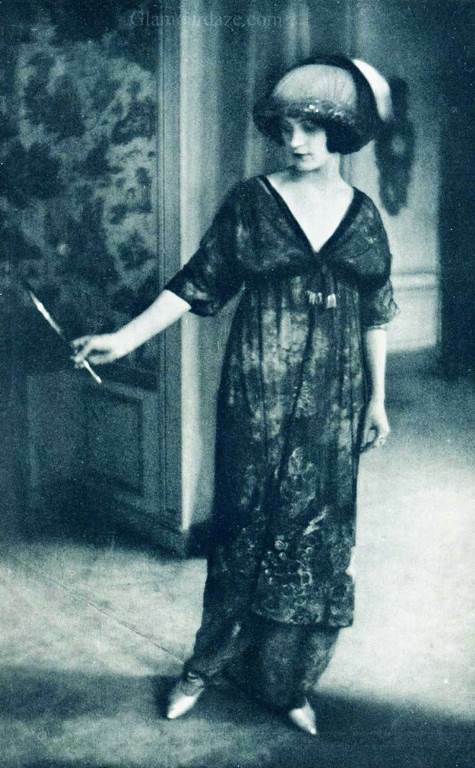 In 1911 Poiret’s house expanded to encompass furniture, decor, and fragrance in addition to clothing, the first “total lifestyle“. 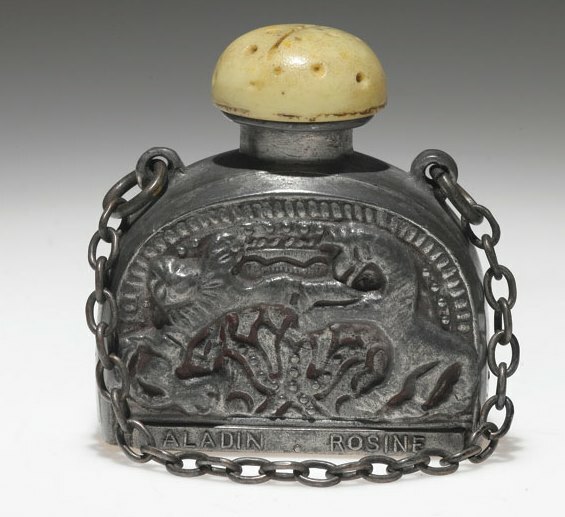 Rosine, a perfume and cosmetics line is named after his eldest daughter. 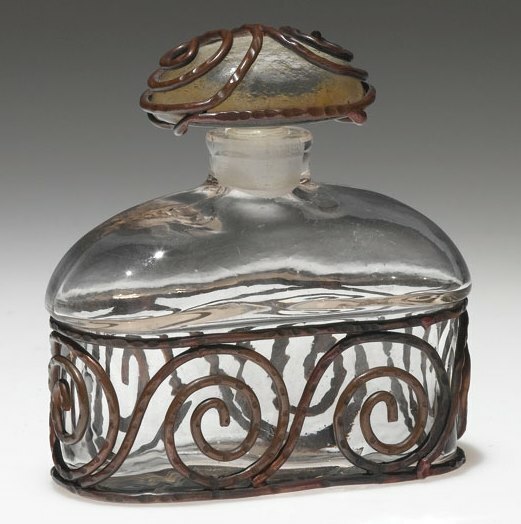 Poiret introduced “Parfums de Rosine” becoming the first couturier to launch a signature fragrance linked to a design house. 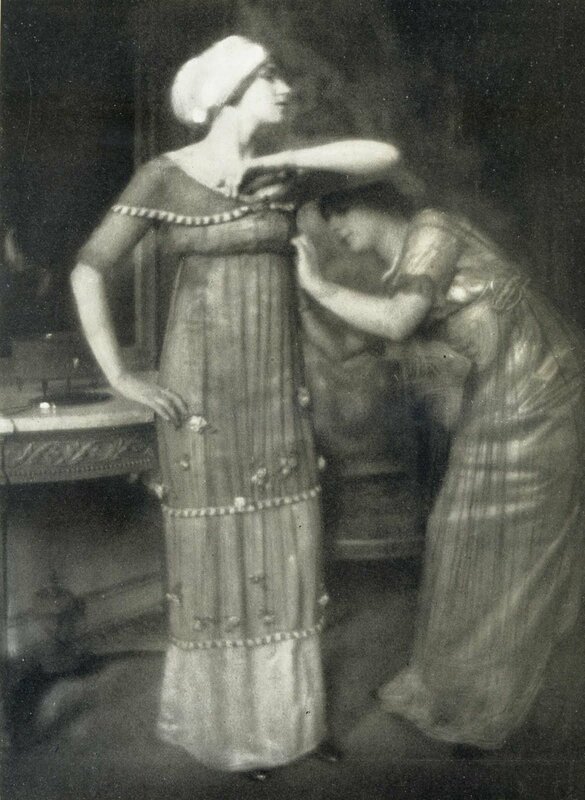 On 24 June 1911 Poiret unveiled “Parfums de Rosine” in a flamboyant manner. A grand soiree was held at his palatial home, a costume ball attended by the cream of Parisian society and the artistic world. 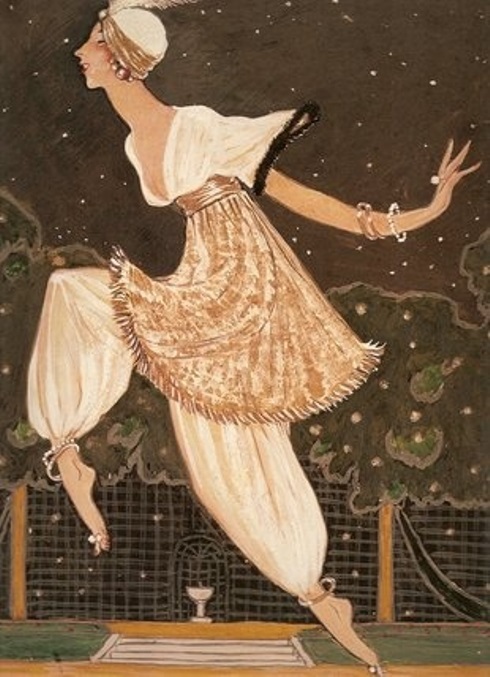 Poiret fancifully christened the event “la mille et deuxième nuit,” the thousand and second night, inspired by the fantasy of sultans’ harems. Gardens were illuminated by lanterns, set with tents, and live tropical birds. Madame Poiret herself lounged in a golden cage luxuriating in opulence, waiting for her master’s arrival so that he could set her free. 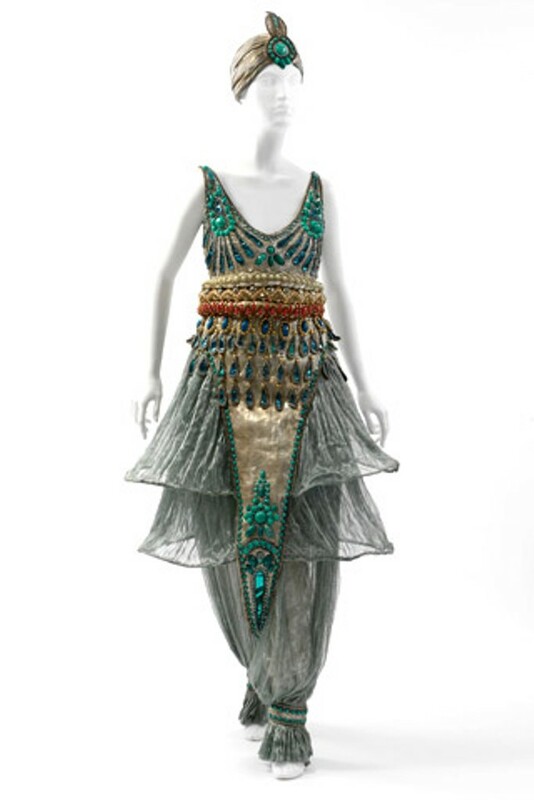 The bejeweled silk harem pants Poiret made for Denise (who played the part of a concubine) were said to be inspired by a production of Scheherazade by the Ballet Russes, eventually became the basis for a new kind of lampshade silhouette that was soon all the rage. 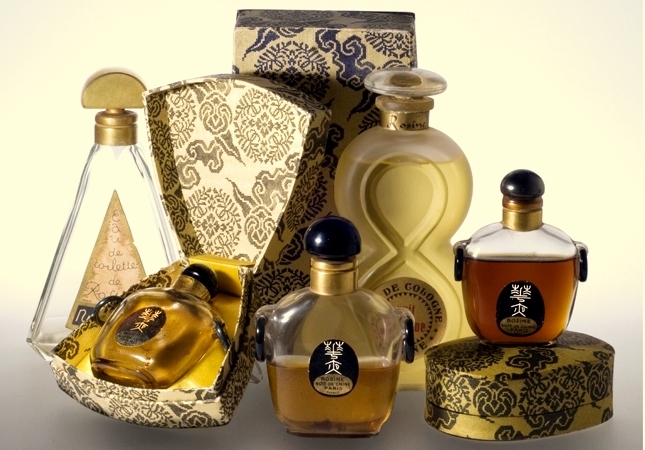 Poiret was the reigning sultan, gifting each guest with a bottle of his new fragrance creation, appropriately named to befit the occasion, Nuit d’Perse. 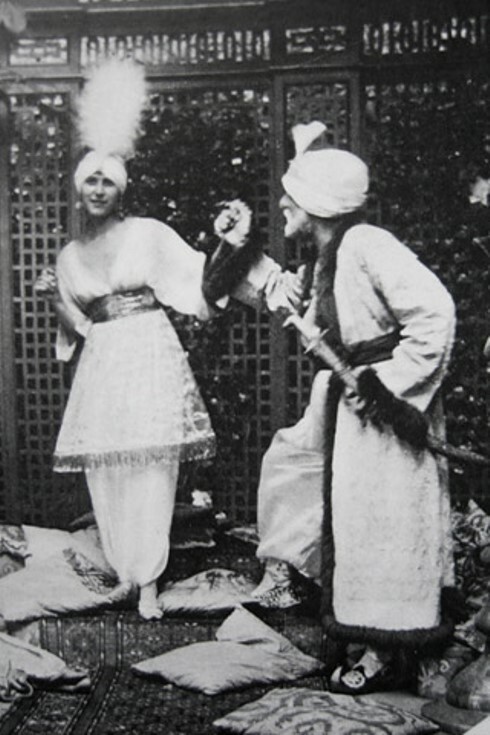 Improperly dressed guests were requested to either outfit themselves in some of Poiret’s ‘Persian’ outfits or to leave! 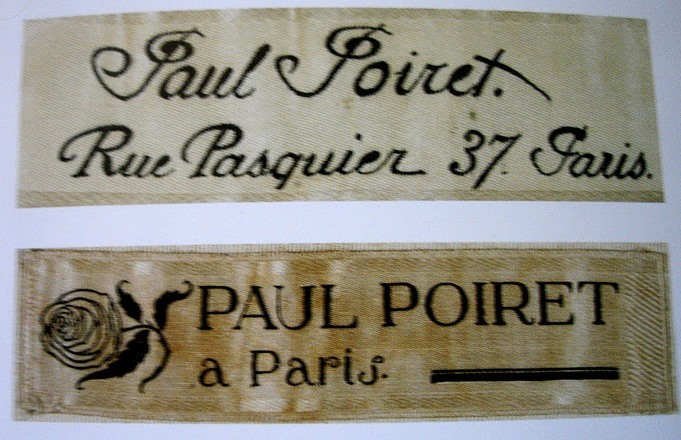 Poiret’s marketing strategy played out as entertainment became a sensation and the talk of Paris. In 1911, publisher Lucien Vogel dared photographer Edward Steichen to promote fashion as a fine art by the use of photography. 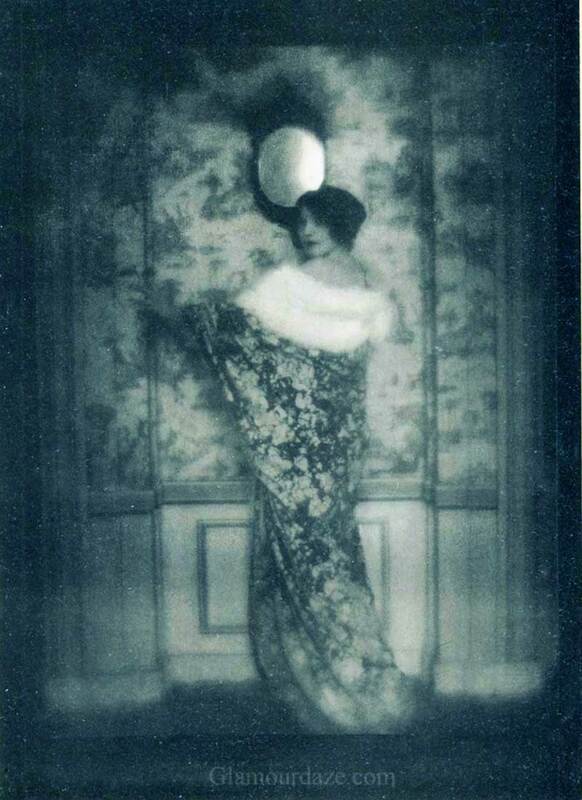 Steichen then took photos of gowns designed by Poiret. 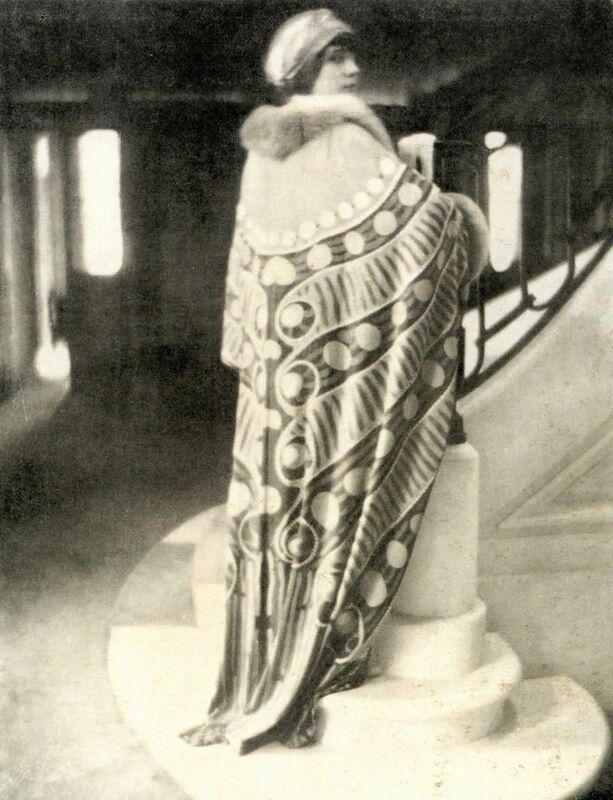 These photographs were published in the April 1911 issue of the magazine Art et Décoration. 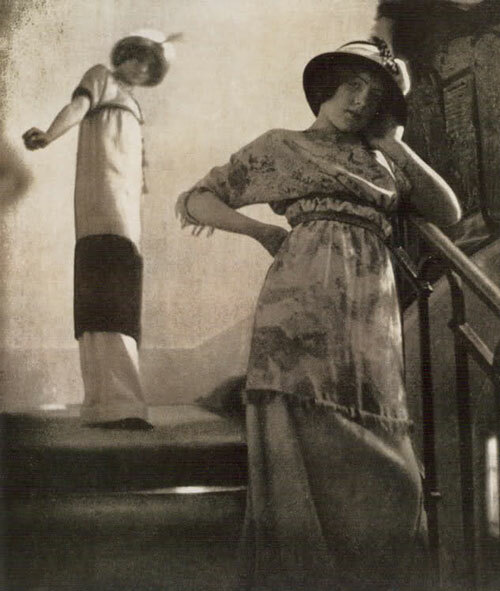 This is “…now considered to be the first ever modern fashion photography shoot..
During World War I, Poiret left his fashion house to serve the military by streamlining uniform production. He returns to Paris briefly to design the fall collection, but after two of his children die suddenly (first Rosine from an ear infection, then Gaspard from Spanish influenza), he abandons the idea. His house will now lay dormant until the end of the war. 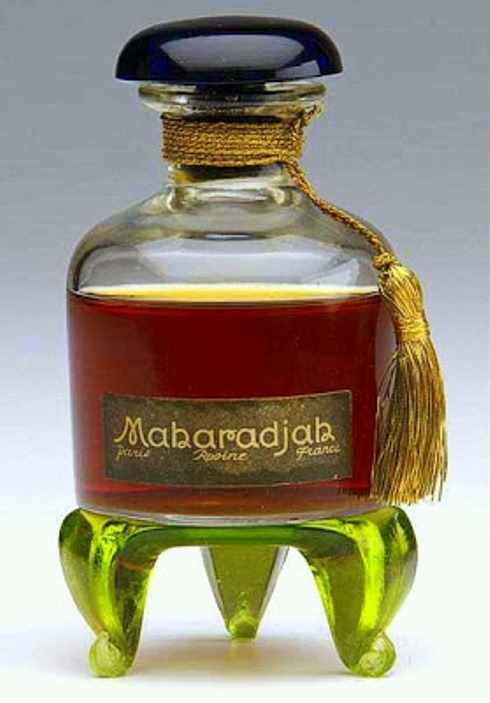 He does release one perfume during this time “Sang de France” (Blood of France), but the authorities ban it..
Poiret returned after being discharged in 1919. He meets a young Elsa Schiaparelli. They strike up a friendship and he gives her clothes to wear to in-crowd hangouts. He encourages her to start her own line, which she will do a few years later. 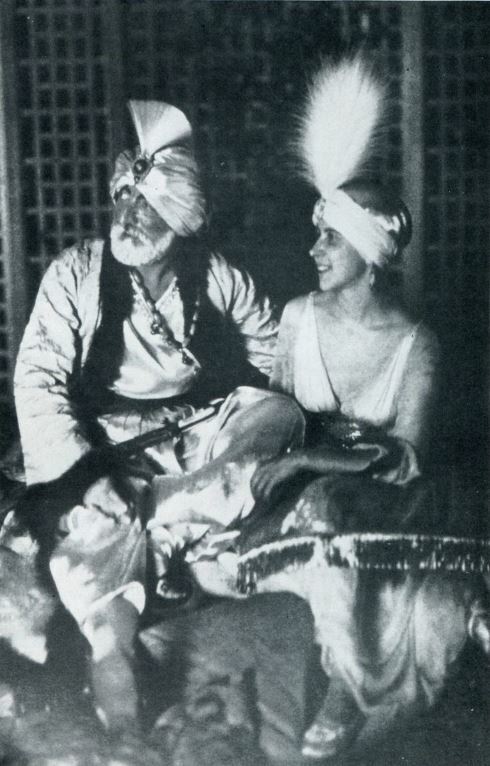 After their bitter divorce in 1928 (Time reported, “M. 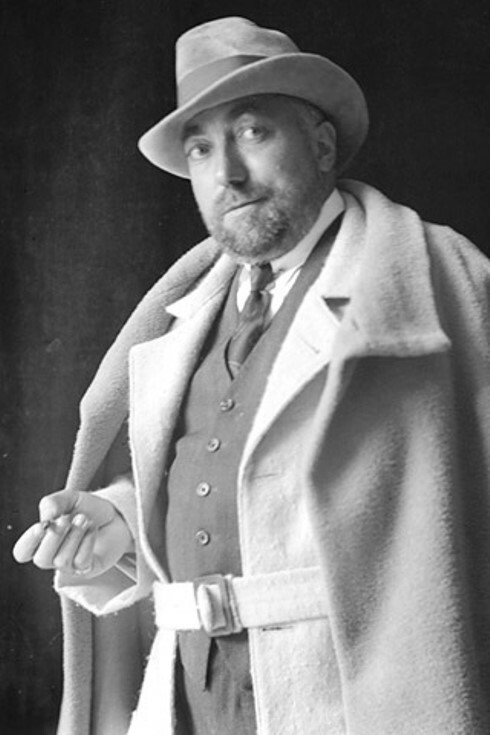 Poiret charged that his wife’s attitude was injurious; Mme .Poiret countercharged that her husband was cruel”), Denise still held her ex-husband’s work in high esteem. She kept her spectacular wardrobe for posterity’s sake and it was passed down to her children and grandchildren. Poiret was suddenly out of fashion, in debt, and lacking support from his business partners and he soon left his fashion house. In 1929, the house itself was closed, and its leftover clothes were sold by the kilogram as rags. 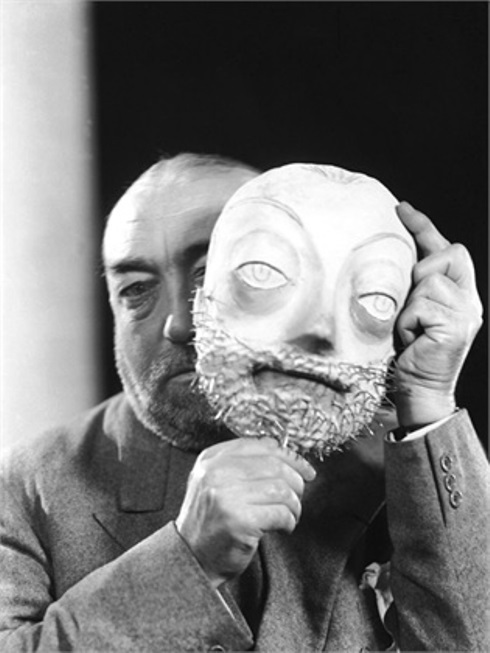 When Poiret died in 1944 in German-occupied Paris, his genius had been forgotten. His road to poverty led him in odd jobs as a street painter trying to sell drawings to the customers of Paris’ cafes. and working as a bartender. At one time it was even discussed in the ‘Chambre syndicale de la Haute Couture’ to provide a monthly allowance to help him, an idea rejected by the Worths (at that time at holding the presidency of that body). 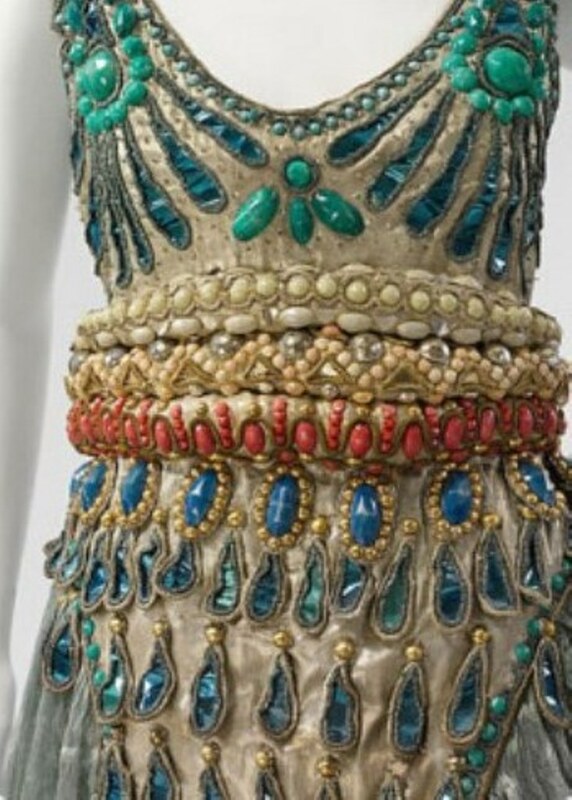 Only the help of his friend Elsa Schiaparelli prevented his name from encountering complete oblivion and it was Schiaparelli that paid for Poiret’s burial. 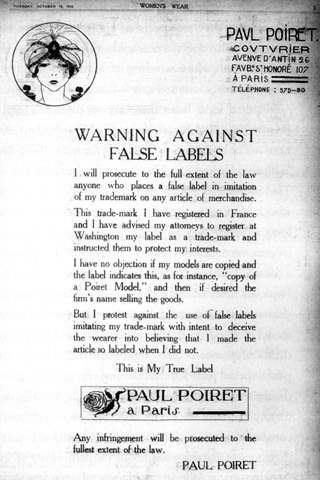 One of the first designers to explore licensing, Poiret got burned by illegal copies and trademark infringements. He fought this in court and became the head of the Syndicat de Défense de la Grande Couture Française, an organization to protect the rights of designers.